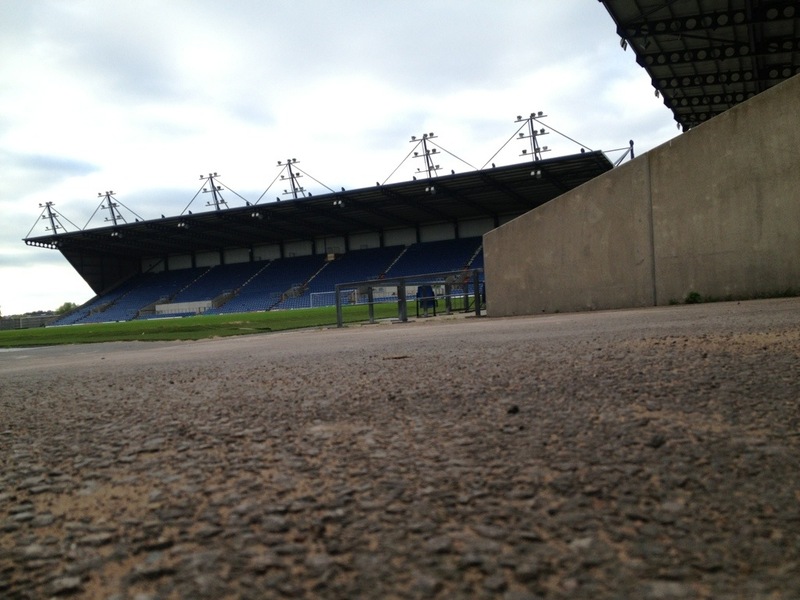 I’ll say it straight away – I’m no fan of the Kassam Stadium. 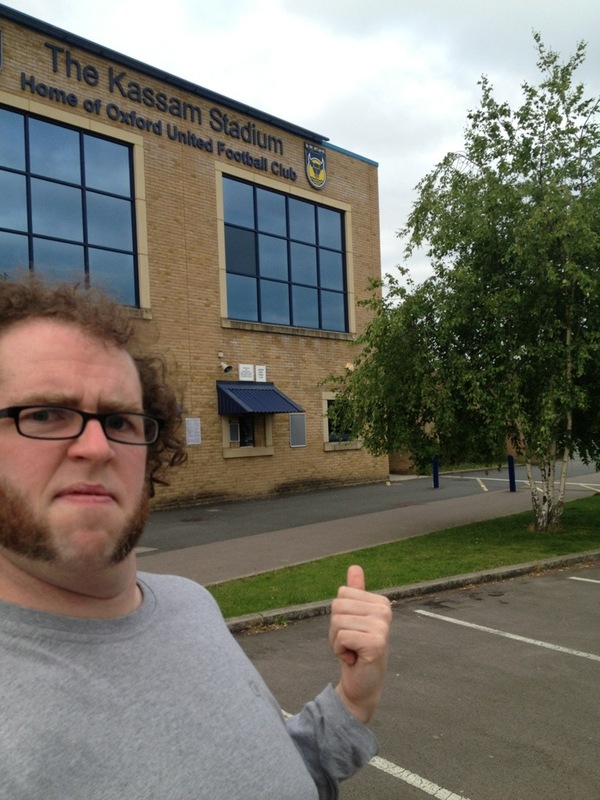 A visit to the wonderful Glee Club in Oxford gave me the chance to spend an afternoon wandering around their footballing home and I left reasonably unimpressed. I spent about half an hour walking around what appears from the outside to be a really soulless arena. Sure, inside they’ve put up signs celebrating their trophy wins. And with supporters inside the whole thing changes. 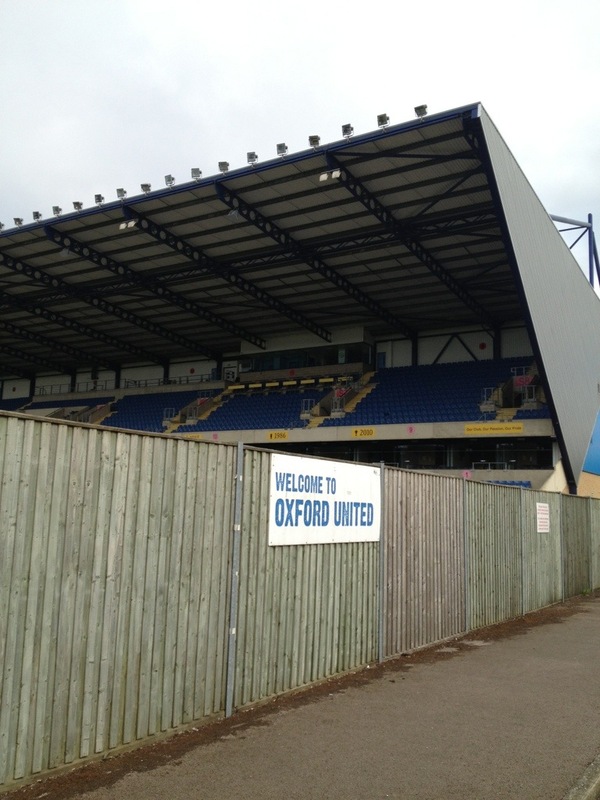 But there’s only three virtually identical stands, with just a wooden fence behind one goal. 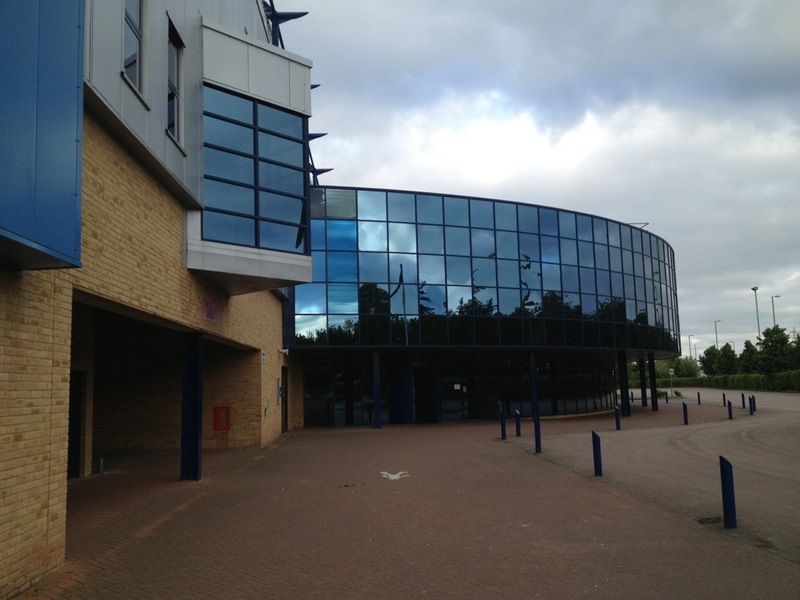 Oh, there’s also a Vue cinema opposite the stadium, which is basically just on an out of town retail park. 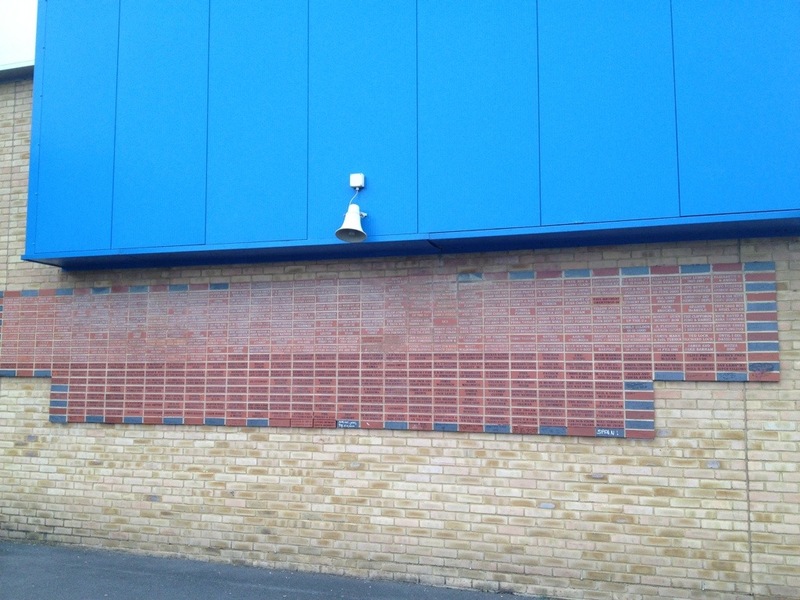 As a fan of old school architecture and history, this didn’t appeal to me. 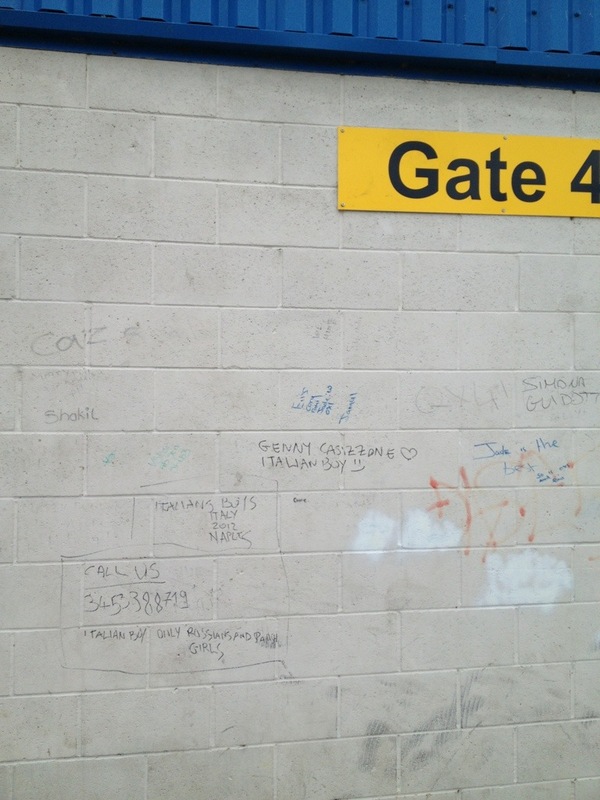 An unsavoury looking away fans’ ticket office coupled with weird graffiti were the only “dirty” bits of this ground, which also informed visitors that a section of the car park was to be used for motorcycle training during the week. 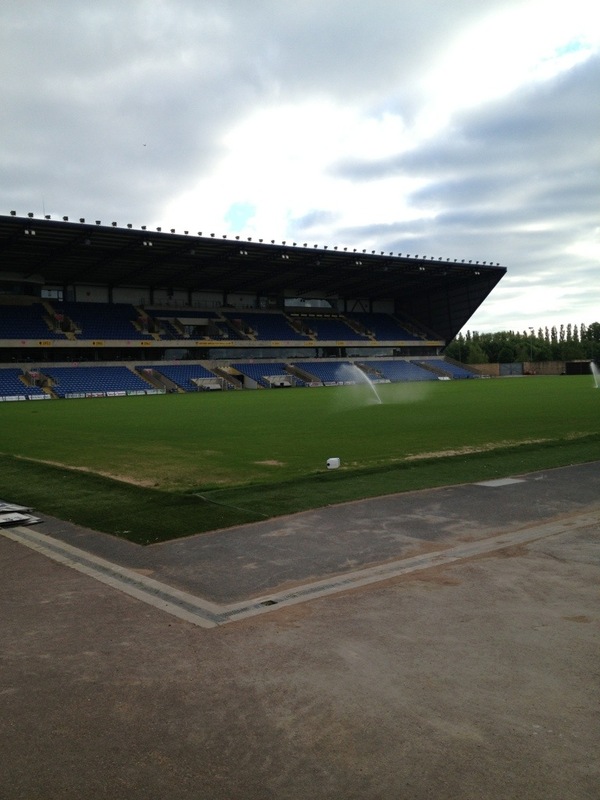 Everything about the Kassam seems to scream new, soulless, odd. Perhaps because the stadium is also sold as a conference centre, rather than just somewhere with conference facilities, it got my goat a little bit. 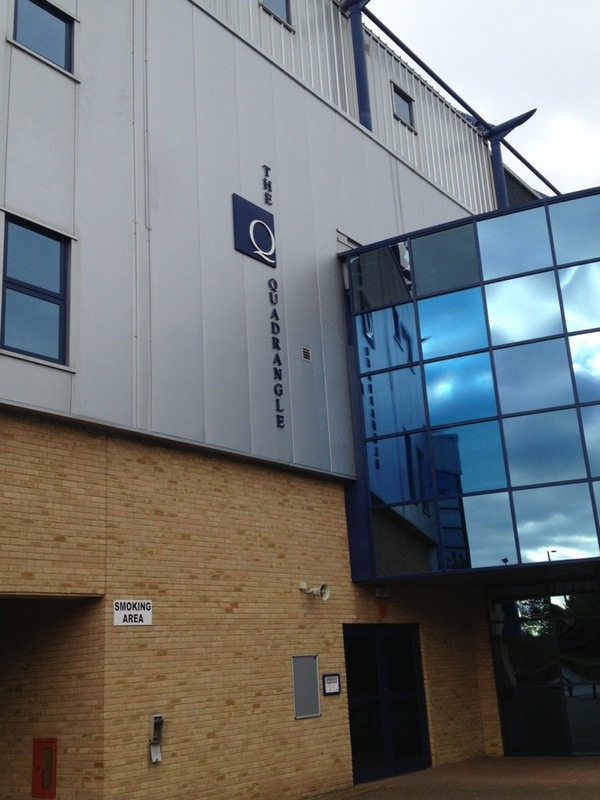 Don’t give bits of your home weird businessy names such as “The Quadrangle”. 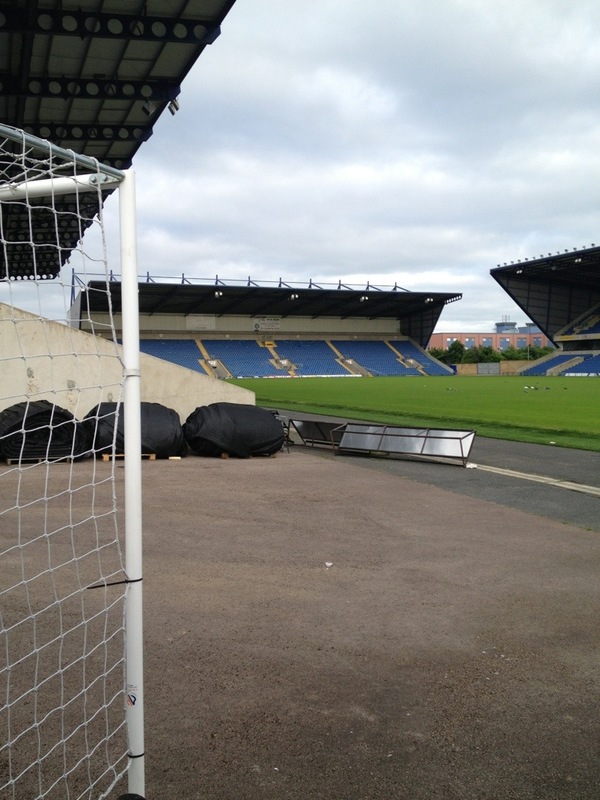 Anyway, three impressive big stands and a fence, which is where I’m sitting with regards to the Kassam Stadium. This was the conclusion of our Scottish special and either a huge let down or unadulterated bonus of a ground, depending on your point of view. Six grounds in the space of 24 hours is impressive, regardless. 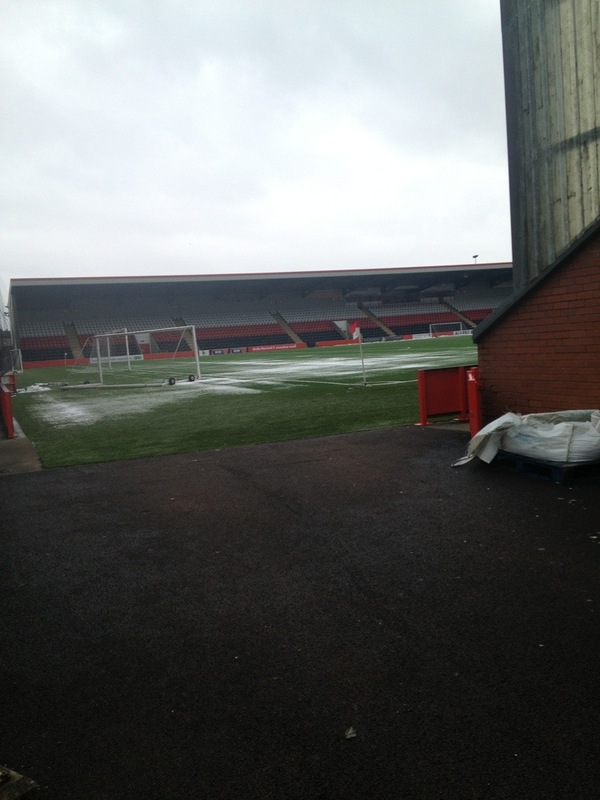 Whilst at Hamilton being disappointed by their closed club shop, we got a phone call from another comic who was travelling from Newcastle to Glasgow, but via Edinburgh and the A1 due to expected road closures because of snow. 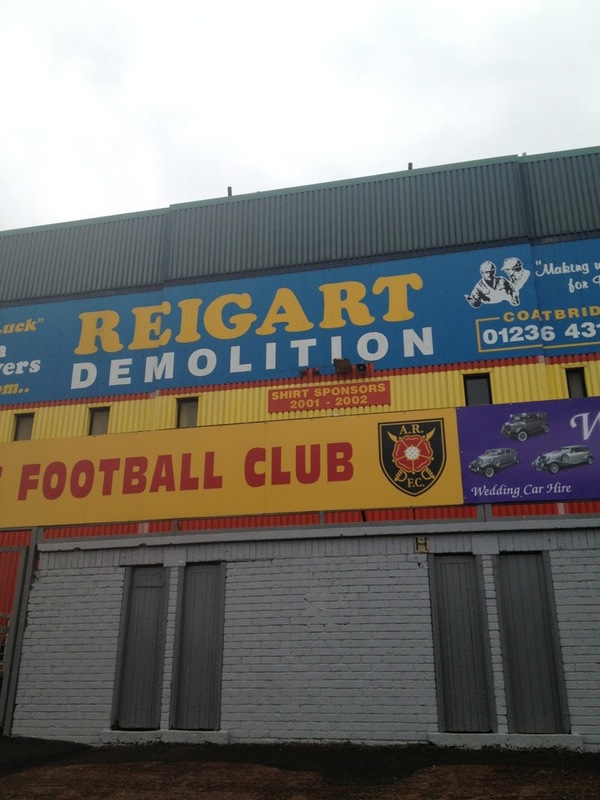 Going down the A1 meant only one thing in our minds: a stop off at Shielfield Park, home of Berwick Rangers. 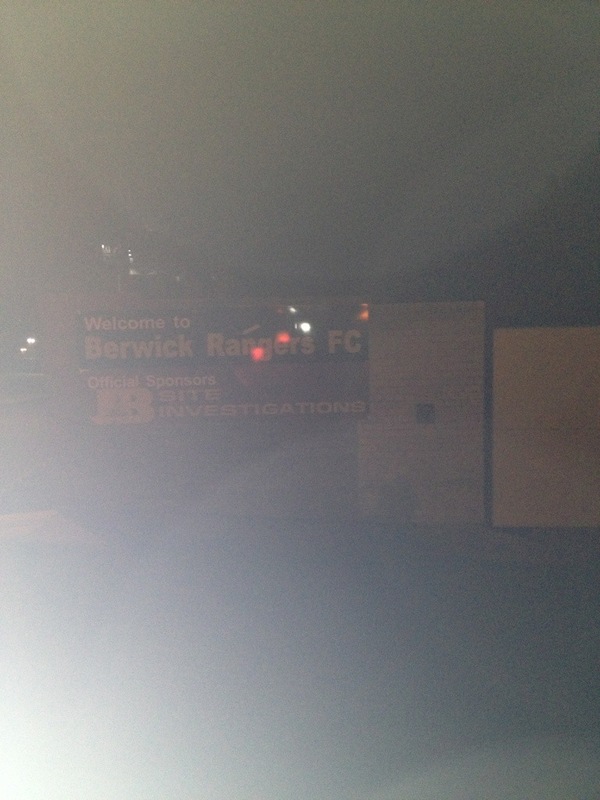 So it was that we took the most minor of detours from the A1 for a whistlestop drive-by of Berwick’s ground. It was midnight, pitch black, and freezing cold. It’s safe to say we found time to jump out of the car for three seconds for a photo. If it wasn’t for the existence of this photo I’d struggle to convince you that I’d actually been there, such was the brevity of our visit. This was really part of the Scottish special, or the prequel to it, or its inspiration, whatever you will. We’d booked a hotel in Glasgow that was so dirty and filthy (honestly, search for Botanic Hotel Glasgow and read the Trip Advisor reviews) even a scruffy bunch of comedians wouldn’t risk disease staying there. So after our first day of gigs we decided to drive home to Newcastle late at night, only to get back up first thing in the morning to drive back to Glasgow. 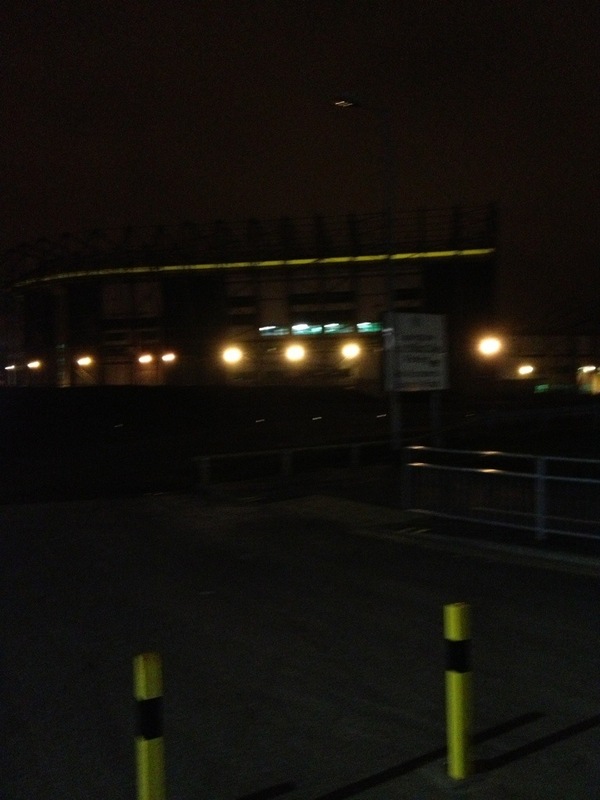 The one plus side of this is that we accidentally went home via Celtic Park. It seemed rude not to hop out for a quick photo. There’s not much more to say to that really, other than our second day inspired us to spend more time admiring Glaswegian football architecture than is arguably healthy. However on this occasion we were tired and annoyed and just wanted to get home. Celtic Park is a magnificent home but when you’ve spent most of your day wondering whether you should sleep in a room where the walls are smeared in blood, you have other stuff on your mind. 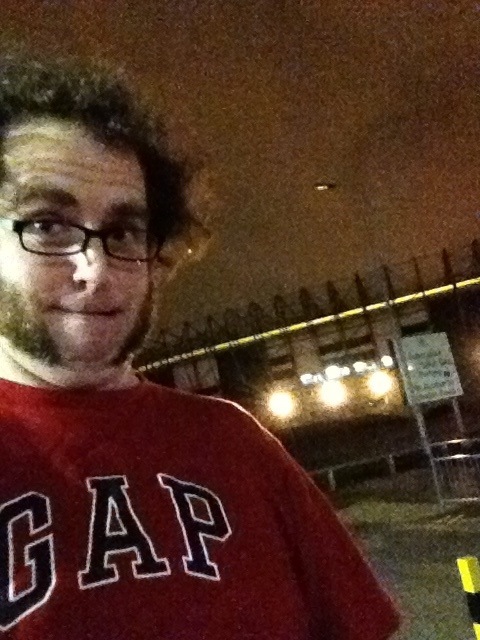 So yeah, Celtic Park, great stadium. Botanic Hotel Glasgow, awful. 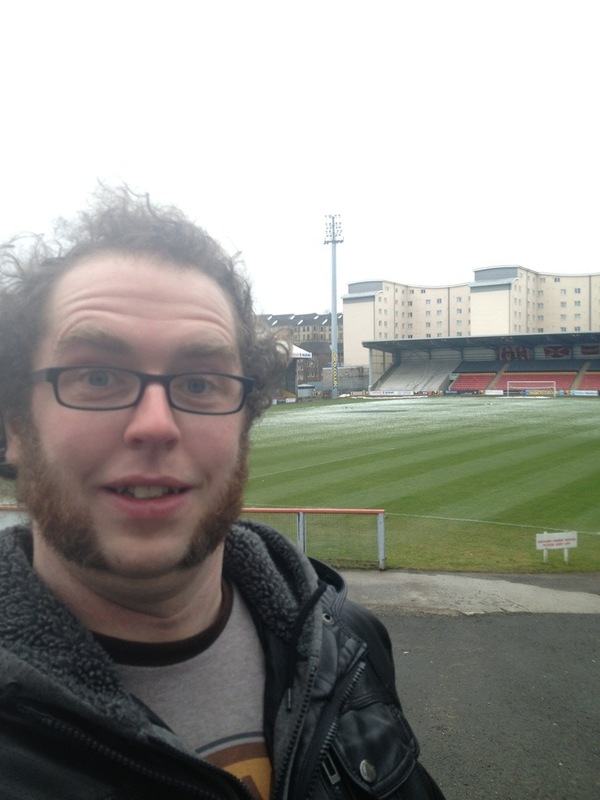 Of the four “proper” ground visits we made on our Scottish adventure, New Douglas Park was probably my second favourite behind Firhill, but it was easily the angriest I got over the course of the day. 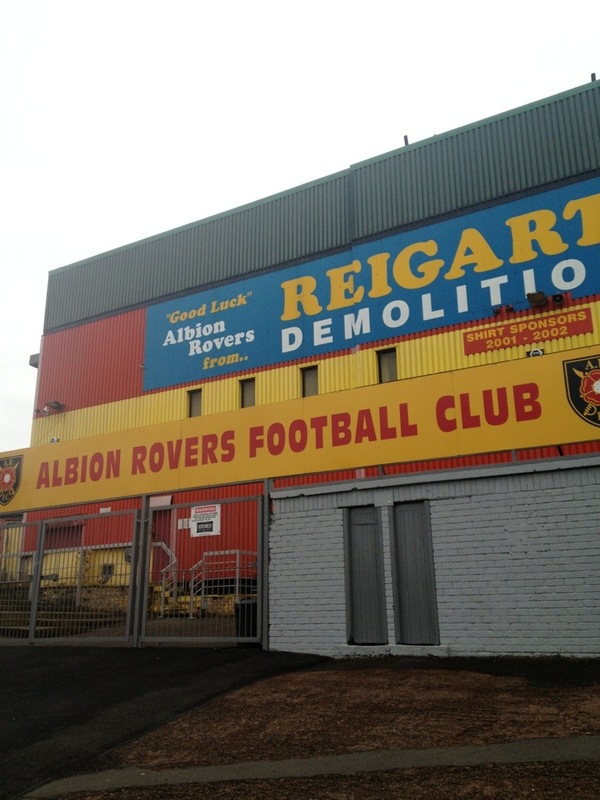 We were getting on for 3.45pm when we set off from Cliftonhill, home of Albion Rovers. The excitement of the previous three grounds had made way for hunger and we faced a dilemma – call it a day at three stadiums and go for some food, or soldier on and go for the fourth? Myself, Nick and Lee had all expressed an interest in a mug from one of the clubs we visited and had been let down so far. 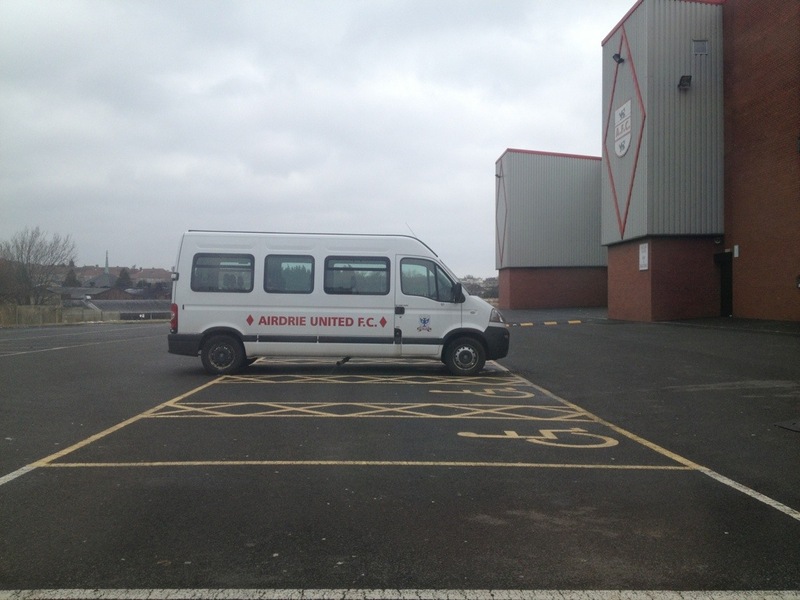 Partick’s shop was shut, Albion’s entire ground was shut and we’d have struggled to be enthusiastic about a free mug from Airdrie, never mind get out the car and look to see if they had a club shop. 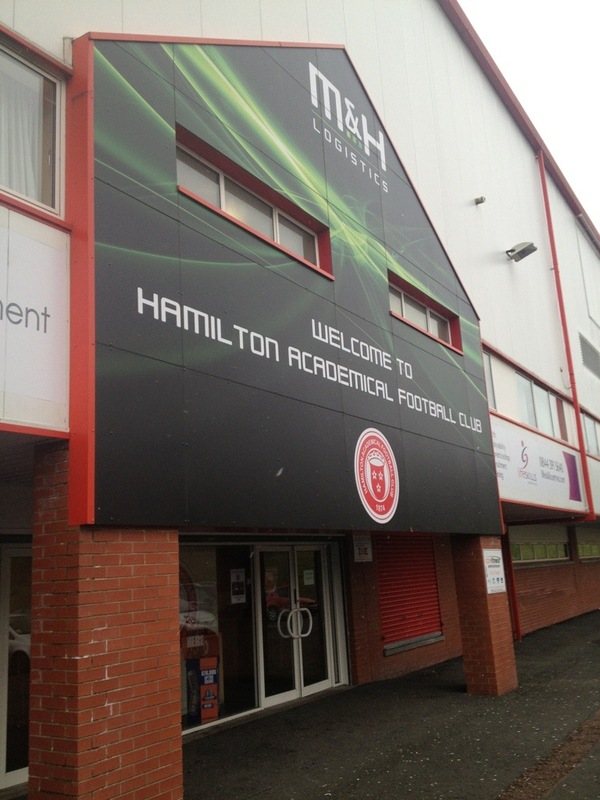 We decided to check Hamilton’s website, which helpfully declared that their stadium shop was open until 5pm on Thursdays and Fridays, just as we passed a carvery on the outskirts of Coatbridge. Our sat nav told us it was a 16 minute drive which meant one thing and one thing only; we were going to drive to New Douglas Park, get us a bloody Hamilton Academical mug then drive back to Coatbridge for a bloody carvery as a reward. Oh, and do a gig as well, but that was definitely a long way down our list of priorities. We approached New Douglas Park and one thing struck me immediately; I’ve never encountered a ground surrounded by so many supermarkets. 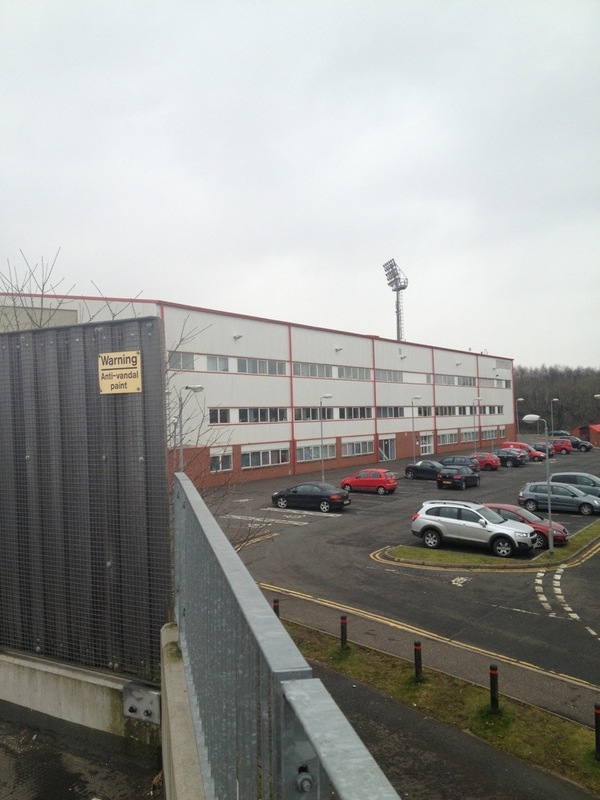 It is opposite a Sainsbury (the site of their former home Douglas Park) and behind a Morrisons (no idea). It’s also bloody hard to find. 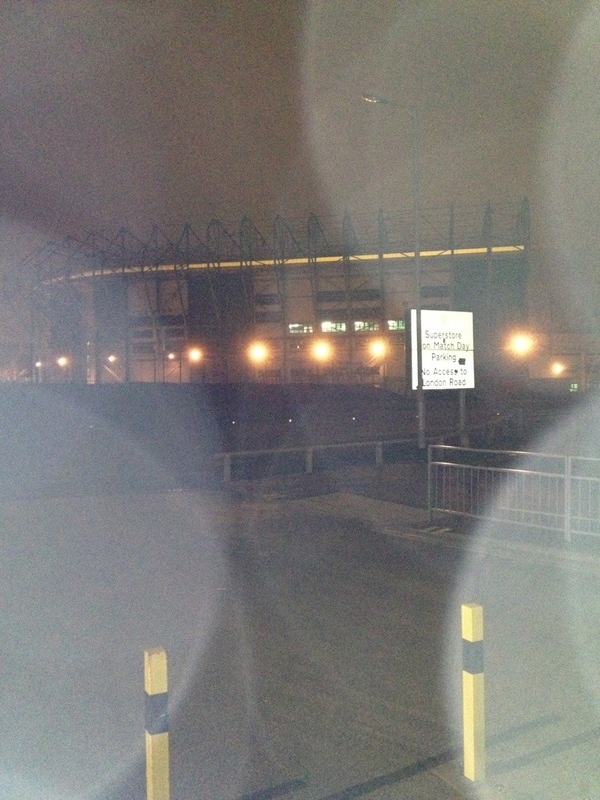 You can see it, and you can get a good view of it from Morrisons’ car park, but getting into the stadium itself is something else. We did find it and were immediately struck by how odd it was. 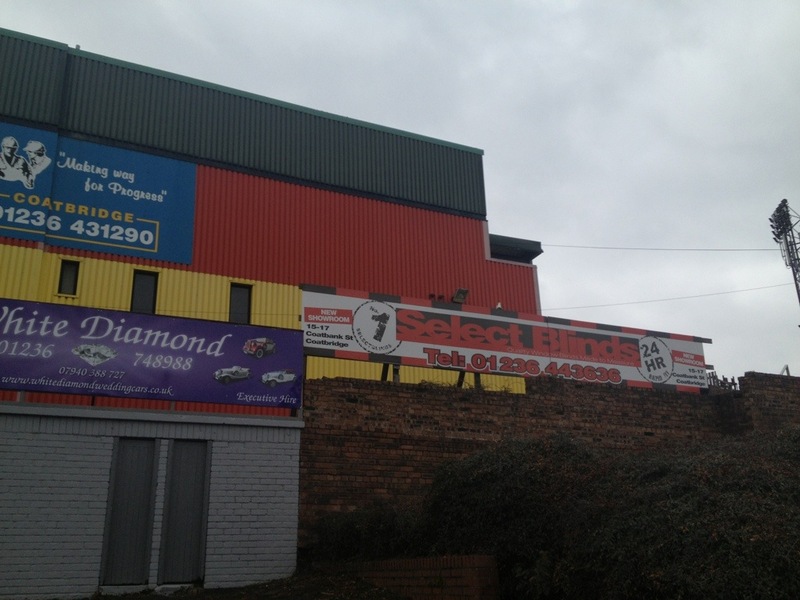 Living in the shadow of two supermarkets, Hamilton have responded by only bothering to build two stands. There is a third stand, but honestly, it looks like a hospitality tent and the sorry excuse for a marquee must hold about a hundred people tops. 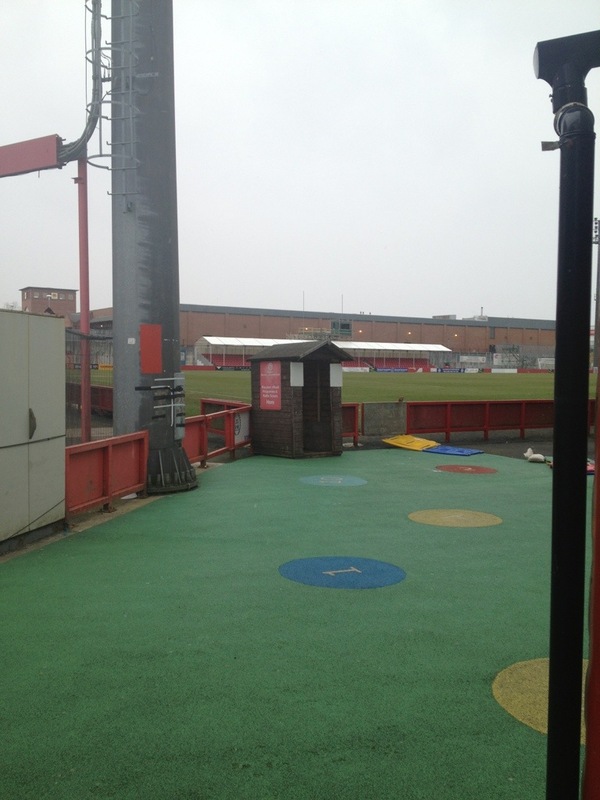 We had a quick wander around the ground, peeked inside at the play area in one corner of the ground that is part of a kindergarten within the stadium (they’d basically built a row of shops and offices within the stadium). We then headed off to the club shop to get our cups. Only, we didn’t get our cups. 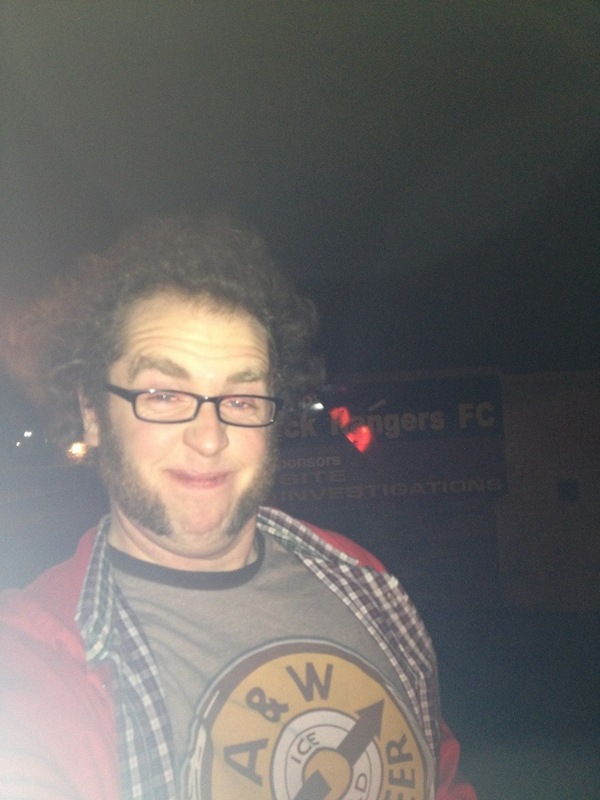 The club shop was closed. And not “back in 5 mins” closed. It was shutters down, nobody home closed. At 4pm in the afternoon. We checked their website, to make sure we’d not imagined it. No, definitely open until 5pm. We checked our watches and phones and anything else with the day on. No, definitely Friday 22nd March. Friday, 4pm. 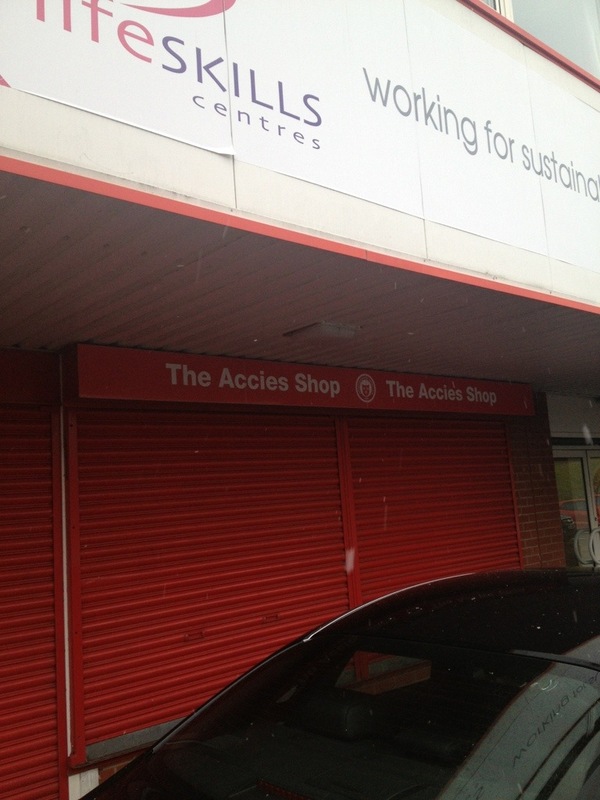 Club shop shut. We sat outside in the car and stewed. We could have been men and popped into the club’s Football In The Community office to ask what was going on, but really, the odds of them opening up the club shop seemed remote. 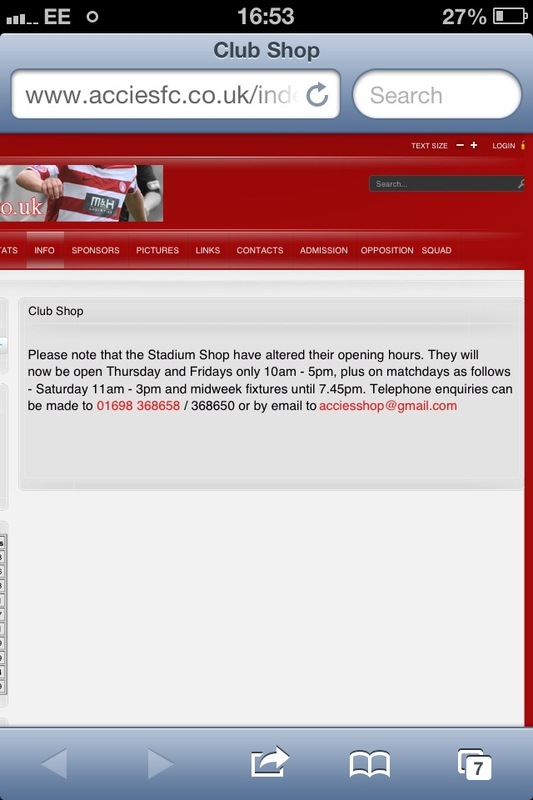 So instead we seethed a bit more, triple checked the Accies’ stupid incorrect website and left. If they couldn’t be bothered to keep their site up to date, did they really deserve our money? Absolutely not. The stadium itself seems nice albeit weird, but with a weird quirky charm (playground inside the stadium, a marquee instead of a stand, easy to watch games by simply parking up at Morrisons instead of buying a ticket) that should have made us fall in love. 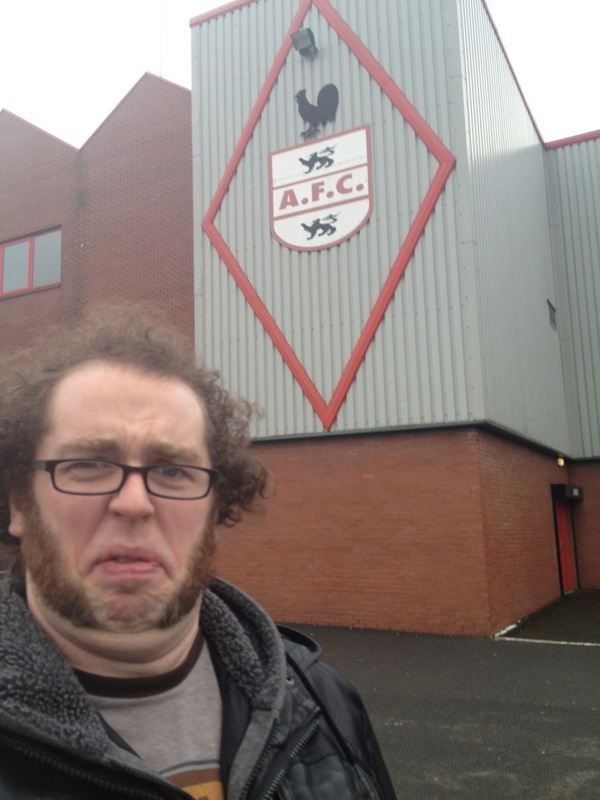 Instead we sulked off to our carvery, mug-less and furious at Hamilton Academical FC. 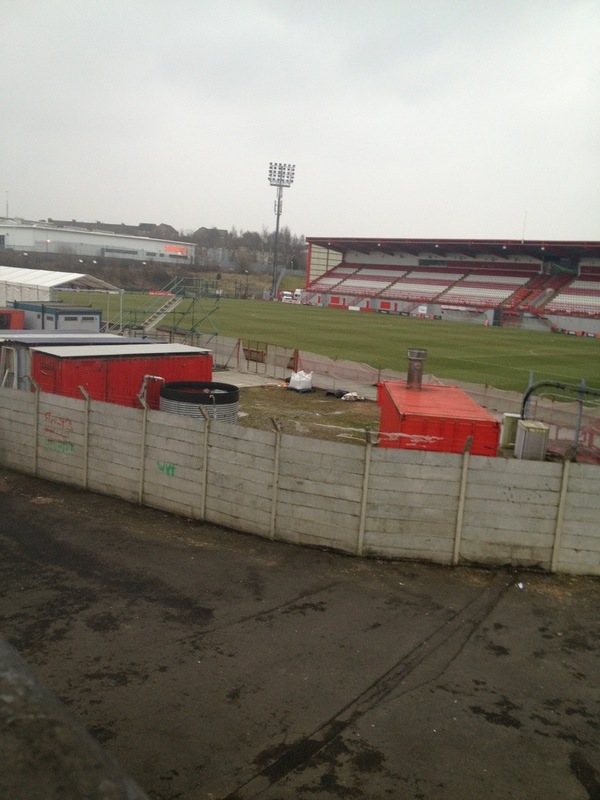 There’s virtually nothing to say about Cliftonhill, home of Scottish Third Division side Albion Rovers since 1919. 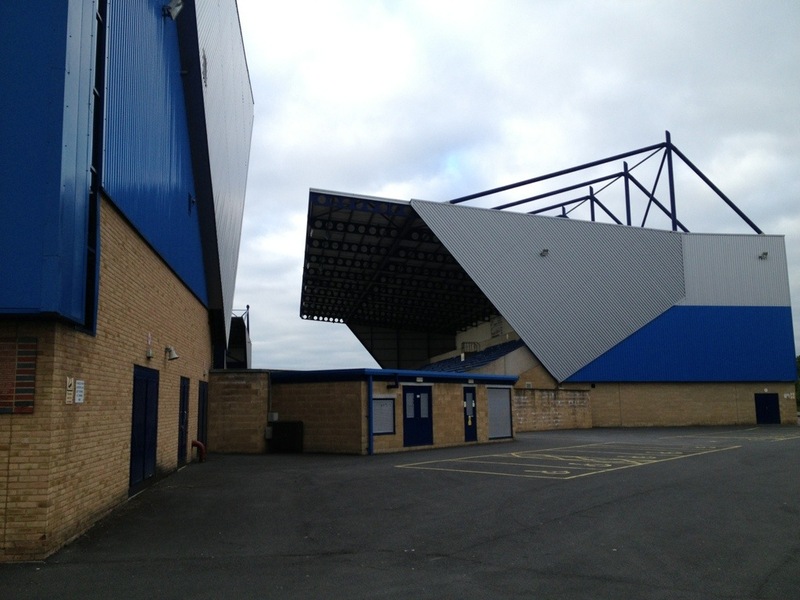 I say Third Division, when I visited the ground Albion were in Division Two. And I’m grasping at straws when it comes to Rovers trivia here. All I can say is that it’s probably clad in more adverts than the outside of any other football ground, including their shirt sponsors from over ten years ago, complete with a sign declaring that they were their sponsors ten years ago. If you thought I couldn’t care less about Albion, the fact that nobody in ten years has popped up a ladder to take the sign down shows all you need to know. 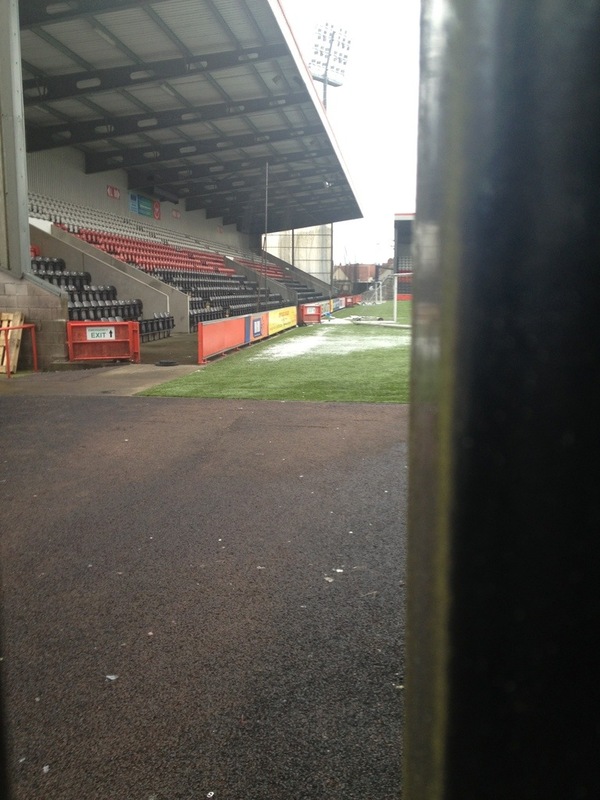 We did suspect that we may be missing some sort of lower league beast of a ground, as Cliftonhill is perched high above the Main Street like some sort of footballing cathedral and is padlocked to keep the no doubt numerous fans away during the daytime. 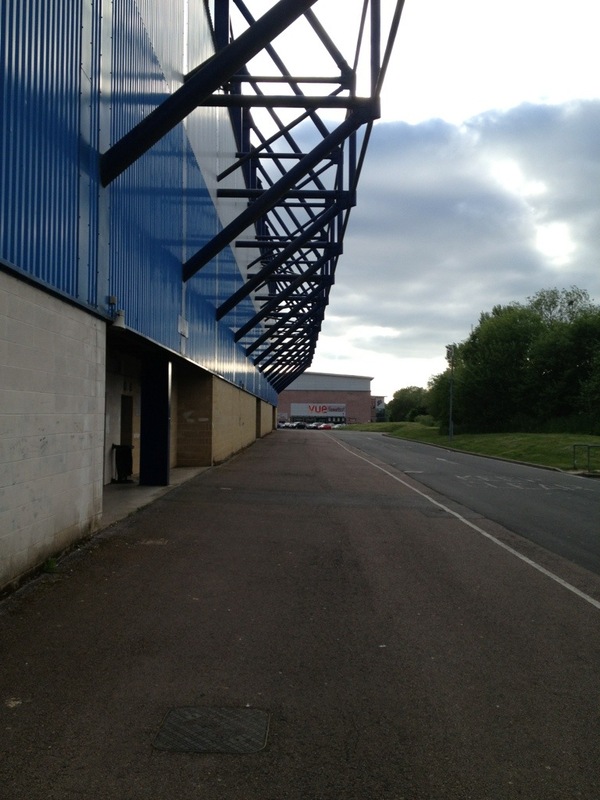 It turns out that firstly, you can pretty much walk into the ground via a housing estate behind the stadium, and secondly that we were wrong. There’s only two stands in the entire stadium. And none have been demolished or fallen down or closed. Just never even built. 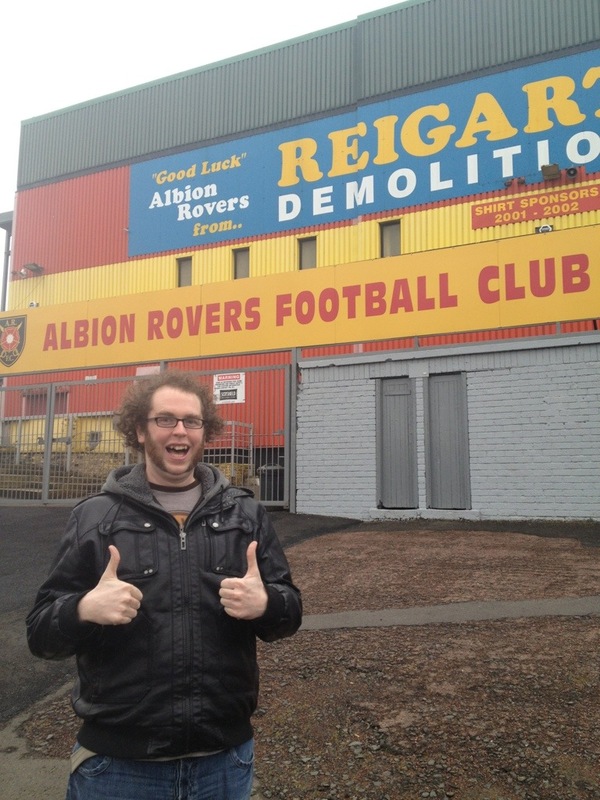 Which makes me sort of sad, but absolutely in love with Albion Rovers. I’m a sucker for an underdog and Albion are even lower status than this. I dare say we spent more time in the car park of the B&M Bargains car park opposite the ground than we did at their home, but it was enough for me. I might not have seen much of Cliftonhill, but I definitely liked what I saw. There’s very little to be said of the Excelsior Stadium whilst remaining polite, which is odd considering there’s absolutely nothing wrong with it whatsoever. If I was to give the stadium the benefit of the doubt, I’d say that when it’s packed full of raucous Glaswegians roaring their team on, it’s no doubt a joy to be present. Realistically, there was nothing to suggest that any of that statement is true. It seems unfair to judge an entire football club based on a deserted stadium on a Wednesday morning, but that’s all I have to go off. 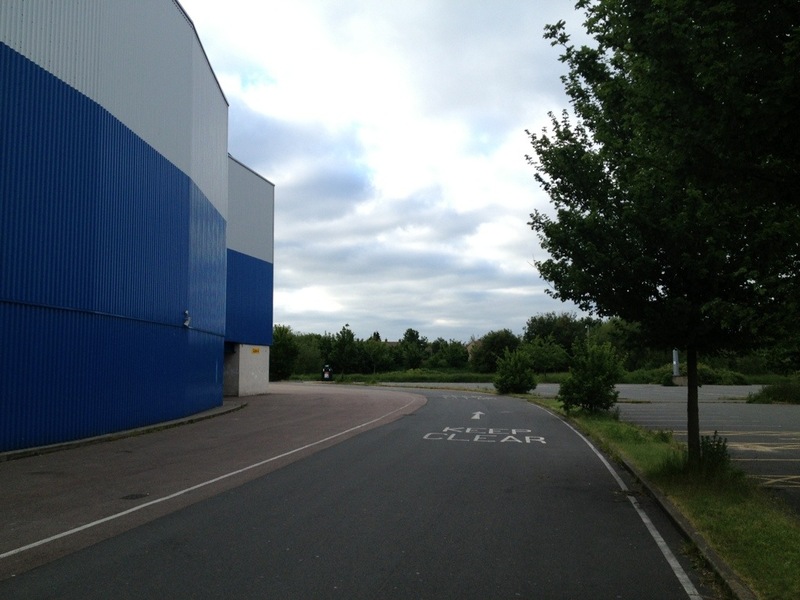 The stadium sits on the outskirts of a very grim looking housing estate, the sort I had to deliver to on my round as a paperboy but always feared and left till last. 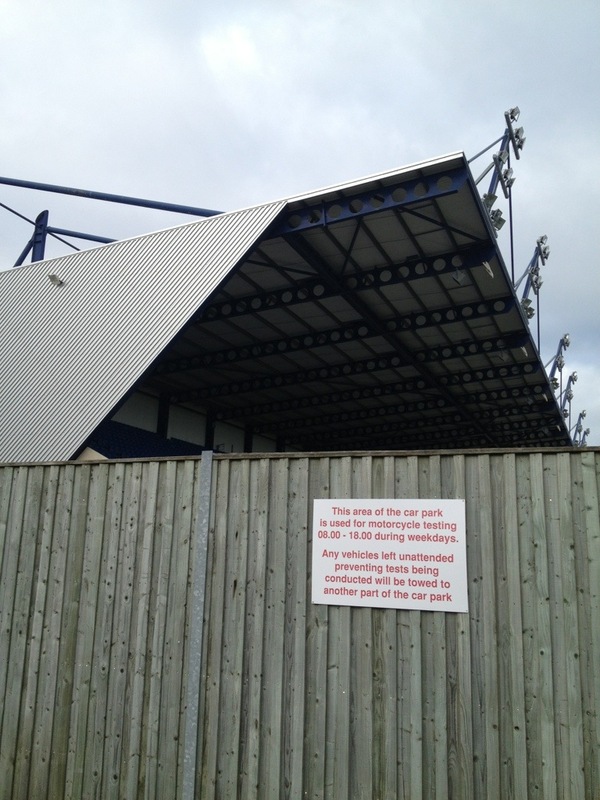 The weather was biting cold, the skies were grey and the cladding on this dull identikit ground matched that. And I think that’s the problem. 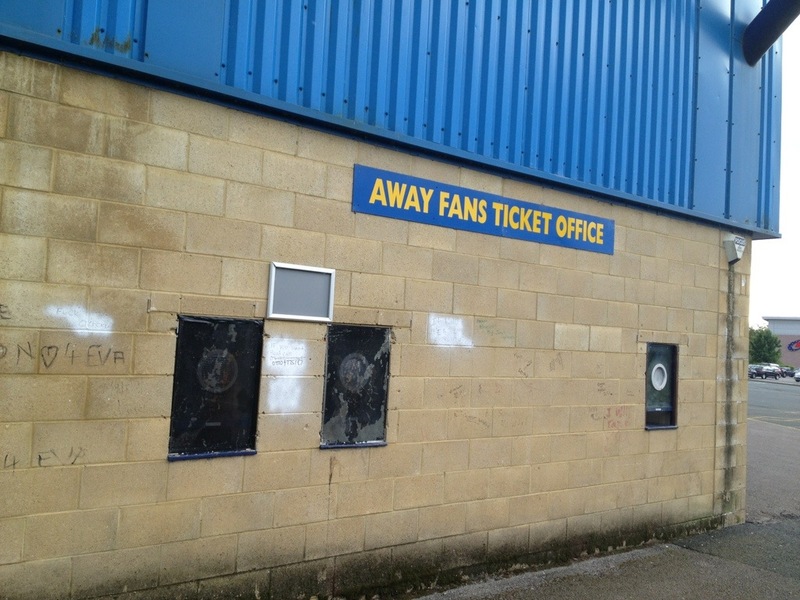 There’s nothing that suggests an element of personality, individuality, colour or imagination on the outside of this stadium. No character, no emotion, no history. 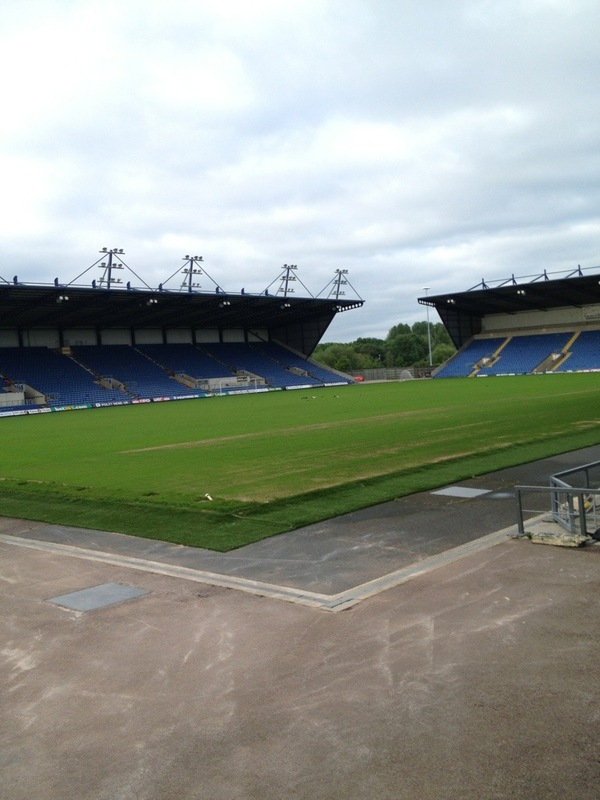 I suspect if I visit this ground in 20 years time it will look exactly the same. The inside looks pleasant, but who wants pleasant? 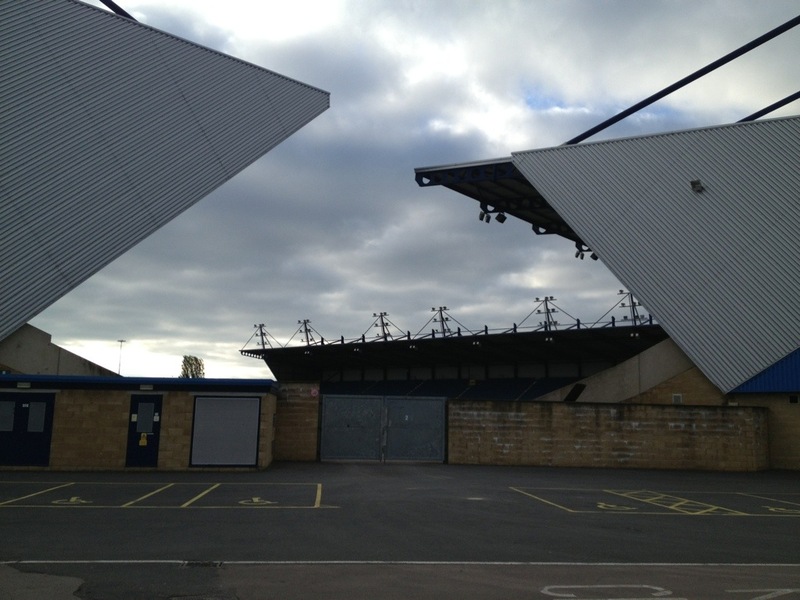 Four almost identical stands, devoid of everything bar seats. The main stand is grand and a dominating sight, but there’s absolutely nothing impressive about it. 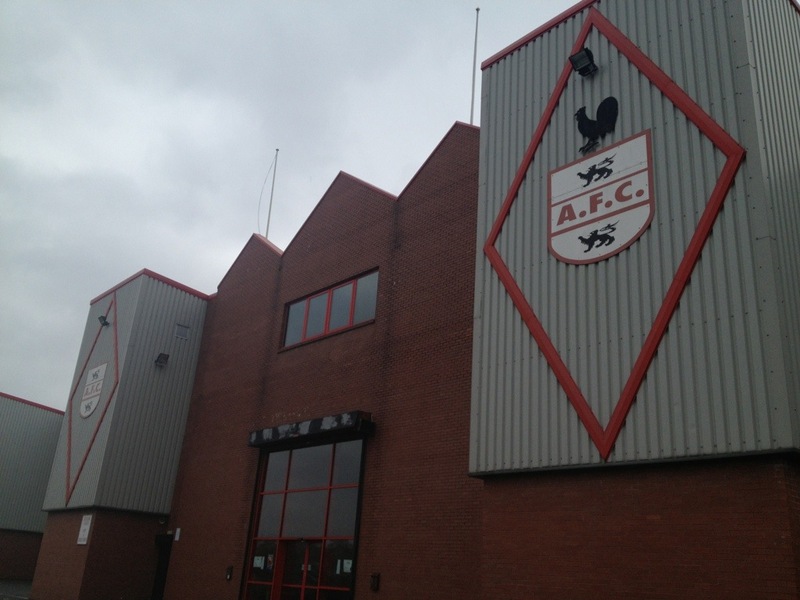 I should have loved Airdrie United and their home, with the history they have of going into liquidation then rising from the ashes once more. But on a bitingly cold day there was absolutely nothing here that made me want to stay any longer than the time it takes to snap a photograph. 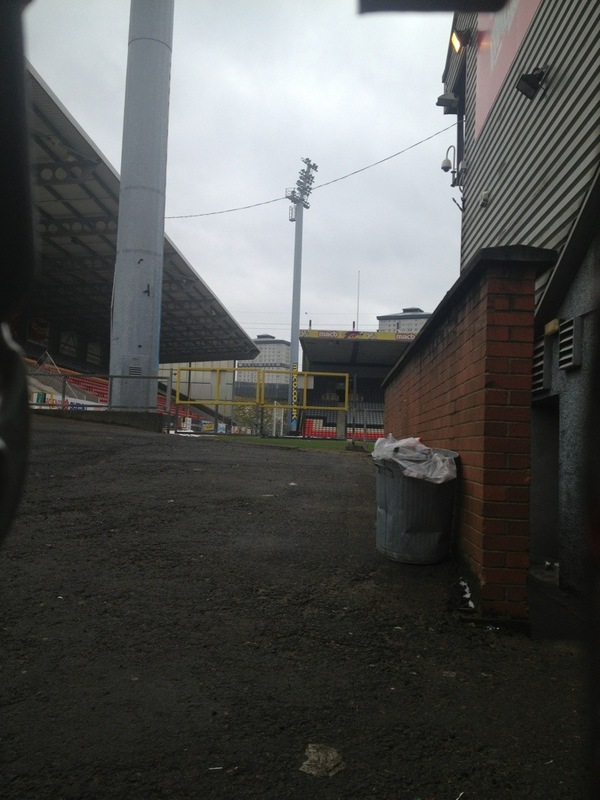 Firhill Stadium has been home to Partick Thistle since 1909 and the Main Stand, at the very least, exudes the sort of old school charm that is frighteningly lacking in the modern identikit stadiums now. 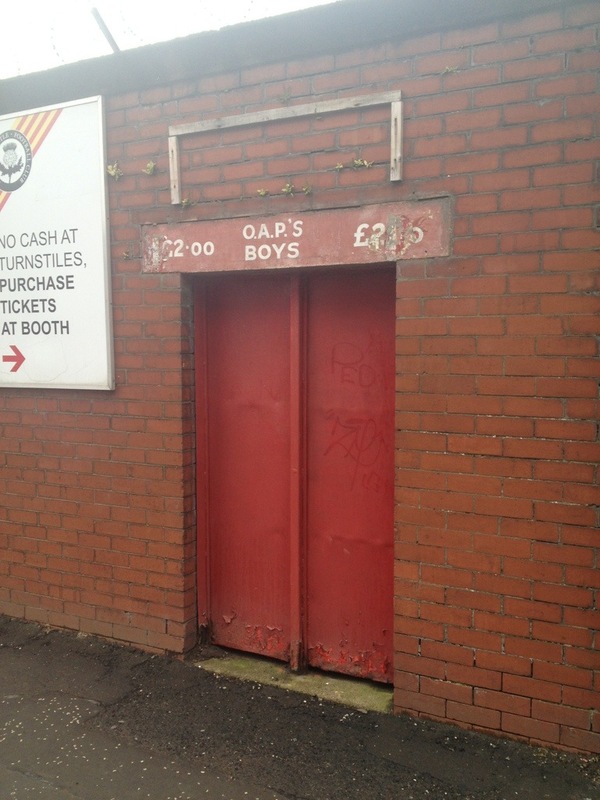 Proper old turnstiles, a bank of terracing that sadly is now disused save for a TV gantry, and an open gate that meant we could just wander in. Perfect! Unfortunately due to having loads of other grounds to visit we probably spent the least amount of time here, but it certainly won us over. 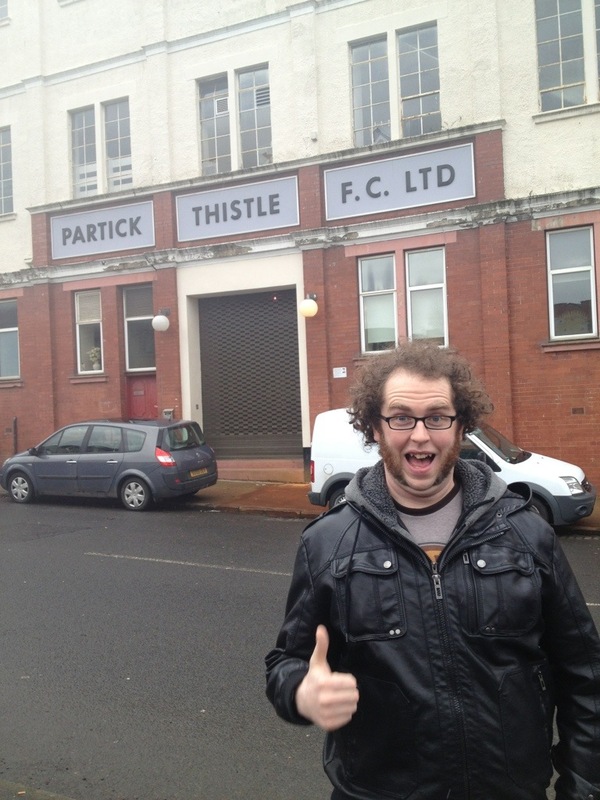 The only downsides were the club shop being closed (we can’t be the only Partick Thistle tourists, surely?! 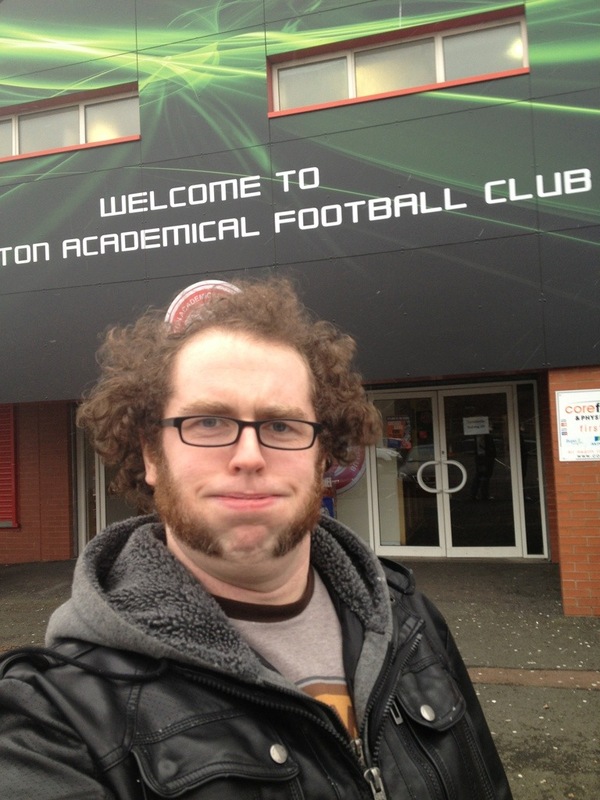 Oh, right) and finding out afterwards that the club very rarely use the Main Stand on match days now. 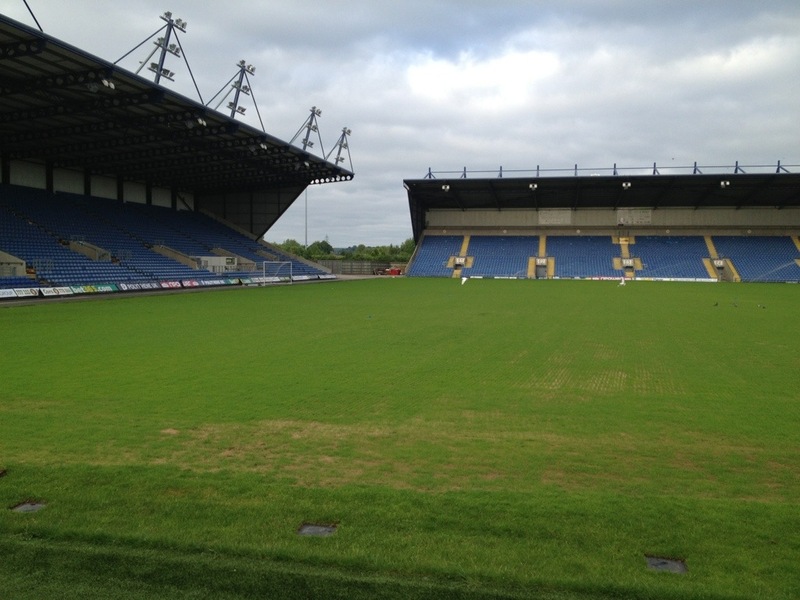 This means two things – firstly, the club play their games in front of two empty stands, which is outright weird. Secondly, the grandest of grandstands sits largely unused. I’ve no doubt it’s probably in a terrible state and crumbling to pieces, but the old romantic in me thinks that if you’ve got it, flaunt it. 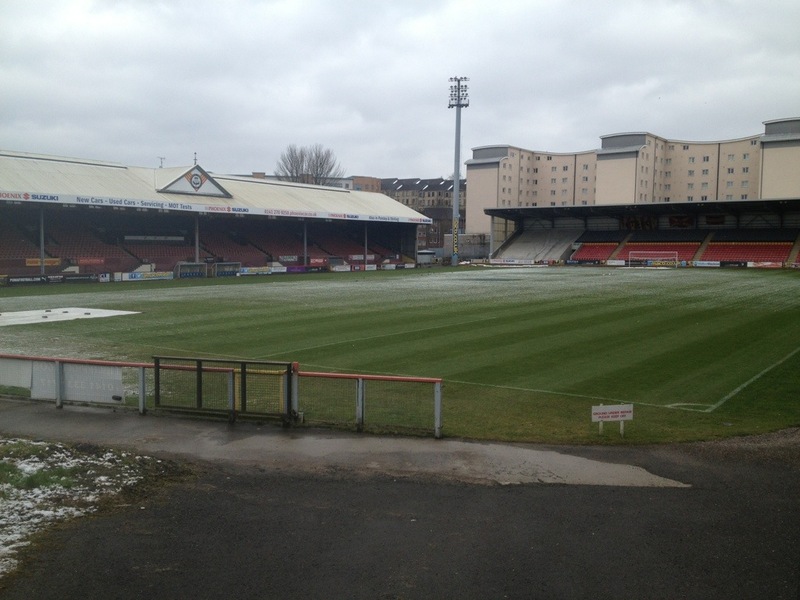 And Firhill definitely has plenty to flaunt. A gem of a football stadium.